Kawai silent upright pianos are some of the very highest quality upright pianos on the market. They offer fantastic value for money too. They are made in smaller numbers than some other Japanese manufacturers such as Yamaha. A fully reconditioned used Kawai silent piano will usually cost between a half and a third of the price of a similar new piano. 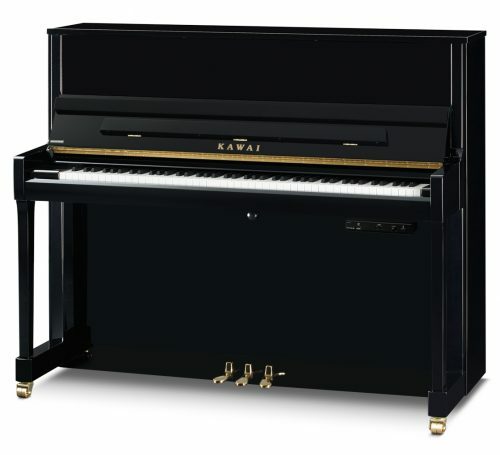 We stock a very wide range of Kawai silent upright pianos ranging from the smallest 108cm models up to the top of the range 132 cm high models. The Kawai AT 14 Silent piano stands 118 cm high and the HAT 20 AT measures 121 cm high. All of these pianos use the stunning factory fitted anytime silent system. The Kawai K50ME measures 125cm which gives a fuller, richer tone. It benefits from the Millennium action upgrade too. It is then guaranteed for 5 years with the same level of cover that you would receive on a brand new Kawai Piano.